This text, written in 1991 or 1992, was a response to people who viewed “anarchism” as a personal lifestyle choice and/ or opposed formal organisation. It argued that, on the contrary, “Anarchism is not just a way of living one’s life. It is the most radical espousal of total social revolution. Anarchists wish to create a society which is libertarian, classless and stateless… Anarchism begins when people organise to change the world…” The Azanian Anarchist Alliance favoured, instead, a revolutionary organisation, and also published some texts influenced by Platformism: Revolutionary Organisations (based on a chapter from Class War, Unfinished Business) and The Role of the Revolutionary Organisation (by the Anarchist Communist Federation) (see here). 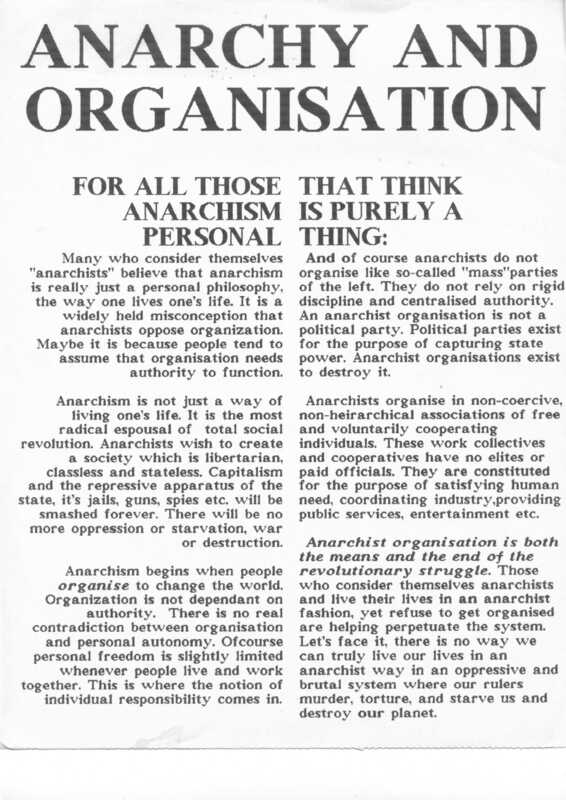 Get the PDF of “Anarchy and Organisation” here (2 pages). 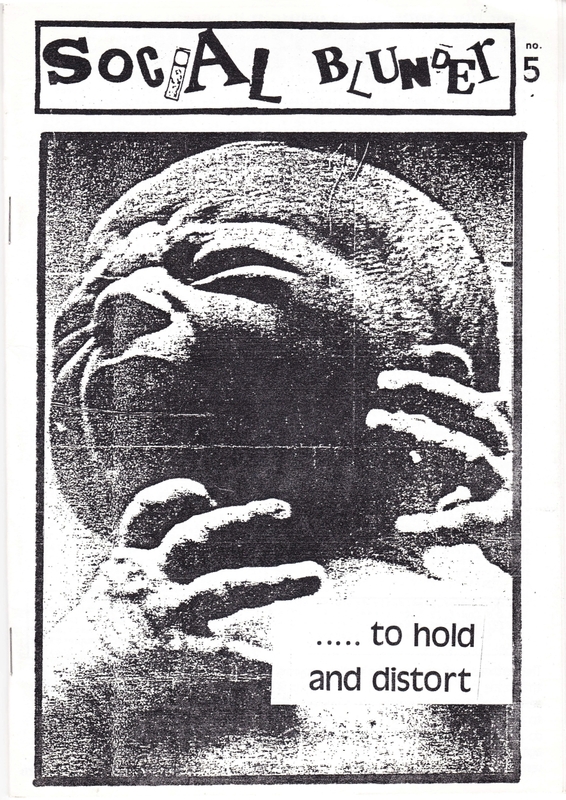 A leaflet (also printed as a poster) for an unsuccessful protest against Unilever, which was recruiting at the University of the Witwatersrand under the heading “Discover a New World at Unilever.” The print quality of the pamphlet is not very good. The boxes in the middle were sourced from a booklet included in the Chumbawumba album of 1986, Pictures of Starving Children Sell Records, which exposed multi-national corporations (like Unilever), the aid industry and the oppression of the colonial and formerly colonial world. 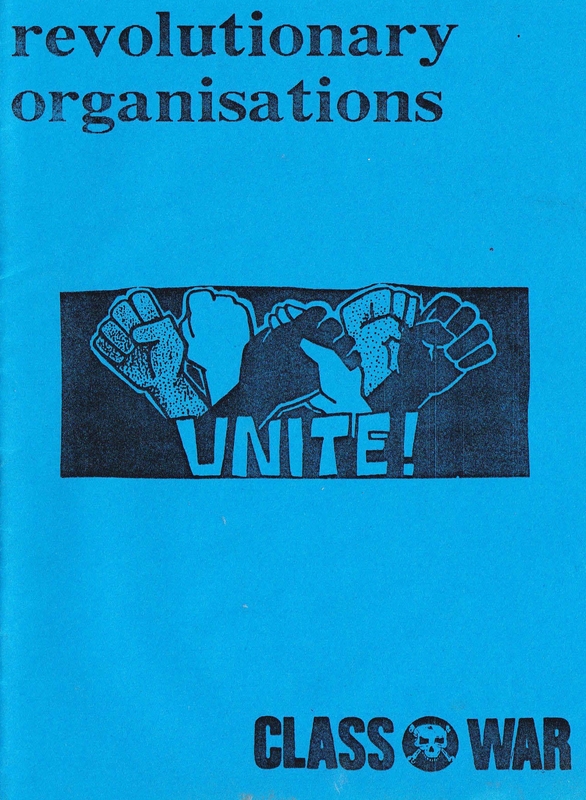 (Materials like this booklet were a major influence on the Azanian Anarchist Alliance / AAA). Get the PDF here. .